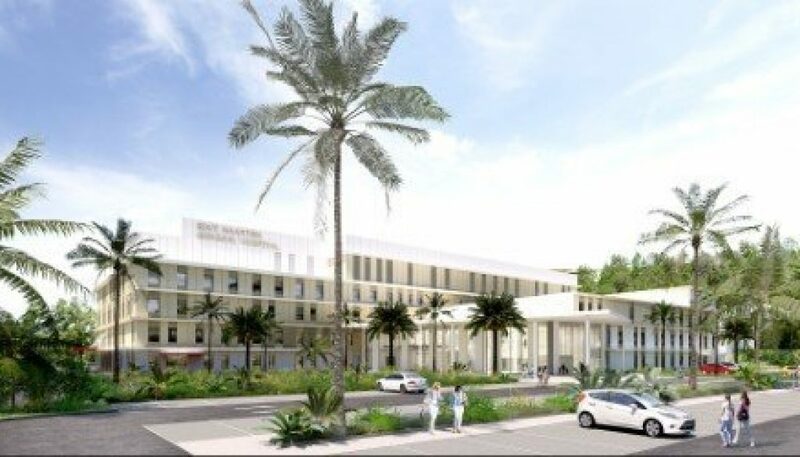 CAY HILL: St. Maarten Medical Center (SMMC) has announced that it has officially received the building permit for the construction of the new hospital. A groundbreaking ceremony is therefore planned for December 3rd, 2018. SMMC’s Facilities Manager, Erika v/der Horst echoed a similar sentiment: “We are happy to have the permit in our hands and look forward to the constructions works to commence. The project is slated to be completed in the next 3 to 4 years and during this time we will closely communicate with our patients, neighbors and community at large about the developments of the new hospital”. Van der Horst also reminded companies to pre-register for the hospital related World Bank funded public tenders that will be announced during the early part of December. Interested companies can review the projects and pre-register via the special World Bank section on the SMMC website: smmc.sx/World-Bank/Projects or email procurement [at] smmc [dot] sx.